Are you a lover of historic sites and heritage? Then you’d love to know that you can enjoy living in Villa Rica, GA. This is the place in Caroll and Douglas counties in the State of Georgia. Just don’t forget to have a garage door installed when you decide to move in. This would ensure your safety and security in a new place. After all, you can never be too safe. You always need to take extra precautions yourself so that this can happen. A1 Garage Door Service can help you out when it comes to this. Call us at 470-236-0800 and let us assist you today. A1 Garage Door Service never scrimps when it comes to the safety and security of people in Villa Rica, Georgia. We never hold ourselves back. In fact, we take the initiative to be an authorized dealer and partner of many top quality brands who have already the reputation in the field and who are also trusted already by many not only in the area of Villa Rica but in the whole country as well. 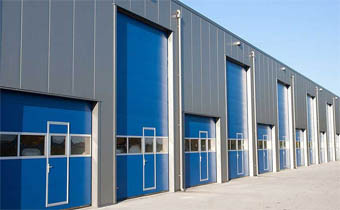 In that way, we can provide them in return to our customers so that they can have the best among the best garage door and its components that can be installed in their property. The technology utilized in the making of a garage door has come a long way. It has improved leaps and bounds already which just made the lives of homeowners safer and more convenient. If you are not aware of this, A1 Garage Door Service technicians can help you out. We can introduce you to many different garage door openers that can make your garage a lot safer. There is that which enables you to monitor your property through a smartphone or a tablet. We can discuss this further when you call our hotline today. A1 Garage Door Service has been in the business for many decades already. We are a family-owned business and locally operated who have worked hard to build our name and reputation, and earn the trust and respect of our customers. We deliver on our promise to provide solutions to your garage door needs and we do it in excellent fashion. You’d want nothing more with us especially since you can also get a 24/7 garage door service here. Call us now at 470-236-0800 and let us help you out for all of your needs on your garage door.